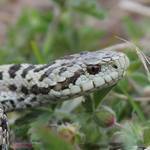 Nice report, very impressive pictures and beautiful herps! I am a massive fan of your photography and such stunning finds! My usual questions when seeing such picture-quality: Did you use some special whitebalance-settings and diffusors (like an umbrella)? @ Gerald: I always use Auto White-Balance, but Sony is known as very good for this. In case of problem, I always work with raw files. I don't use diffusors but I often use my flash even in sunny conditions. Love your photography Matthieu! Also a great report with great species! You make good use of your full frame camera..
Great shots and great findings. I have to spend some more time arround Oukaimeden, I missed the viper and the Timon because I was there during the hottest period of the day.